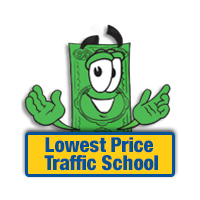 Here at LowestPriceTrafficSchool.com we are proud to present you with sample questions to prepare you for the questions you come across while taking the DMV exam. Our practice tests facilitate memory retention of important facts that you will need to know to pass your DMV permit test. And the best part is that you can take our practice tests over and over again until you are 100% confident about passing the official exam - the first time. So don't wait, try it now for FREE! Which of the following statements about this image is false? a. It is legal to pass over the dashed white line. b. It is legal to cross the double yellow line to turn into a driveway. c. It is legal for the car in the single lane to pass. Incorrect, the answer is C.
Where you see a "DO NOT PASS" or "NO PASSING ZONE" sign. The prohibition of passing in a no-passing zone does not apply when an obstruction exists making it necessary to drive to the left of the center of the highway [s 316.0875(3) F.S.]. Thus, when a cyclist is traveling so slowly as to constitute an "obstruction," a motorist may cross the center line in a no-passing zone if the way is clear to do so, i.e., when it can be seen that oncoming traffic is far enough away the pass may be completed before coming within 200 feet of an oncoming vehicle. Where a solid yellow line is painted on your side of the center line. On hills or curves, and at intersections. Within 100 feet of a bridge, viaduct, tunnel, or railroad crossing. Violators may be arrested or issued a ticket. a. the areas visible in the truck�¿�s mirrors. b. areas where turbulence caused by the truck are strongest. c. the truck�¿�s blind spots. Blind Spots. Although most large vehicles have several rearview mirrors, it is easy for a car, motorcycle or bicycle to be hidden in a large vehicle's blind spot. Do not follow closely behind a truck or a bus. When driving near a large vehicle, be aware of the driver's blind spots on the right, left, front and behind. Rear Blind Spots. Unlike passenger cars, trucks and buses have deep blind spots directly behind them. Tailgating greatly increases your chances of a rear-end collision with a commercial vehicle. Unsafe Passing. Another "No Zone" is just in front of trucks and buses. When passing a bus or truck, be sure you can see the cab in your rearview mirror before pulling in front. Wide Right Turns. Truck and bus drivers sometimes need to swing wide to the left in order to safely negotiate a right turn. They cannot see cars directly behind or beside them. Cutting in between the commercial vehicle and the curb or shoulder to the right increases the possibility of a crash. Backing Up. When a truck is backing up, it sometimes must block the street to maneuver its trailer accurately. Never cross behind a truck that is preparing to back up or is in the process of doing so. Remember, most trailers are eight and a half feet wide and can completely hide objects that suddenly come between them and loading areas. Automobile drivers attempting to pass behind a truck enter a blind spot for both drivers. a. refuse to take a test to show if you are driving while under the influence of alcohol or drugs. b. lie about the ownership or operation of motor vehicles. c. commit an immoral act in which a motor vehicle was used. Make a fraudulent driver license application. Allow your license to be used for a purpose that is against the law. Are convicted in a traffic court and the court orders that your license be suspended. Refuse to take a test to show if you are driving while under the influence of alcohol or drugs. Earn a certain number of points for traffic offenses on the point system. Break a traffic law and fail to pay your fine or appear in court as directed. Fail to pay child support. Fail to carry insurance on your vehicle. Fail to stop for a school bus. Use tobacco if you are under age. a. All infant carriers and car seats must be crash-tested and approved by the U.S. Government. b. Children should be secured in the rear seat. c. The law requires every driver to properly secure children five years of age or younger in child restraint devices. ALL CHILDREN 5 YEARS OF AGE OR YOUNGER MUST USE A RESTRAINT DEVICE WHEN RIDING IN A MOTOR VEHICLE. The number one killer of young children in the United States is traffic crashes in which children were not restrained at all. Over 90 percent of the deaths and 80 percent of the injuries in car crashes could be prevented by using crash-tested child restraints. Children should be secured in the rear seat. Never secure a child in the front passenger side, especially if your vehicle has an air bag. The law requires every driver to properly secure children five years of age or younger in child restraint devices riding in a passenger car, van, or pick-up truck, regardless of whether the vehicle is registered in this state. Infant carriers or children's car seats must be used for children up to three years of age and younger. For children aged 4 through 5 years, a separate carrier, an integrated child seat or a seat belt may be used. All infant carriers and car seats must be crash-tested and approved by the U.S. Government. Children being carried or riding bicycles should wear properly fitted bicycle helmets. The Florida "standard" speed limits on limited access highways is __________ mph. *The 55 MPH maximum speed limit is still in effect in Florida except where otherwise posted. *Speed limits are 70 MPH on some rural Interstate highways. Speed limits may be changed on other multi-lane highways and in areas where the conditions require lower speeds. Drivers should not assume because the area appears to be a particular urban, municipality, business or highway area that the speed is the standard or expected speed zone. Observe and obey the posted speed signs as there may be frequent changes from area to area along the selected roads or highways. Speed limit signs are posted at the beginning of a speed zone and drivers must be driving at that speed starting at the location of the posted sign and continuing until there is a posted speed limit change. b. from a two-way street onto a one-way street. c. from a one-way onto a two-way street. d. from a one-way street onto another one-way street. Incorrect, the answer is B. Make up your mind about your turn before you get to the turning point. Turn signals are required when changing lanes. Never make "last minute" turns. If you must change lanes, look behind and to both sides to see where other vehicles are located before making your turn. Move into the correct lane as you near the intersection. The correct lane for the right turn is the lane next to the right edge of the roadway. On a two-lane road with traffic in both directions, an approach for a left turn should be made in the part of the right half of the roadway nearest the center line. Give a turn signal for at least the last 100 feet before you make your turn. Let other drivers know what you are going to do. Slow down to a safe turning speed. When you are slowing to make a right turn, the bicyclist you passed may be catching up to you. Search over your shoulder before turning. Yield to bicyclists and pedestrians. Yield to pedestrians who may be crossing your path when turning left. Always scan for pedestrians before starting the turn. Make the turn, staying in the proper lane. Yield the right-of-way to vehicles (including bicycles) coming from the opposite direction. Finish your turn in the proper lane. A right turn should be from the right lane into the right lane of the roadway entered. A left turn may be completed in any lane lawfully available, or safe, for the desired direction of travel. See the diagrams for making left turns from or into one-way streets. If you reach an intersection where you wish to make a right or left turn and are not in the proper lane, you should drive to the next intersection. Then make the turn from the proper lane. a. the lane farthest from the lane from which he or she came. b. any lane lawfully available, or safe, for the desired direction of travel. c. the lane closest to the curb. If there is an obstruction in the road ahead such as a bicyclist or a pedestrian walking too closely to the roadway, it is legal to cross to the left of a solid double lane marker in a no-passing zone if the roadway ahead is clear. a. Florida law requires that you take the keys out of your vehicle before leaving it. b. always park on the right side of the roadway, even if you are on a one-way street. c. set the parking brake and shift to park with an automatic transmission or first with a manual transmission. When parking on a public road, move as far away from traffic as possible. If there is a roadside shoulder, pull as far onto it as you can. If there is a curb, pull close to it - you must not park more than one foot away. Always park on the right side of the roadway, unless it is a one-way street. Make sure your vehicle cannot move. Set the parking brake and shift to park with an automatic transmission or reverse with a manual transmission. Turn off the engine and lock the vehicle. Florida law requires that you take the keys out of your vehicle before leaving it. Always check traffic behind you before getting out, or get out on the curb side. Before you leave any parked position, look over your shoulder to the rear to make sure the way is clear. Give the proper turn signal if driving from a curb and yield to other traffic. Parking is not allowed within __________ feet of any flashing signal, stop sign or traffic signal. On the roadway side of another parked vehicle (double parking). By curbs painted yellow or where "No Parking" signs are posted. Within 20 feet of an intersection. Within 20 feet of the entrance to a fire, ambulance or rescue squad station. Within 50 feet of a railroad crossing. On the hard surface of a highway where parking spaces are not marked. On any bridge or overpass or in any tunnel. Within 30 feet of a rural mail box on a state highway between 8 a.m. and 6 p.m. Within 30 feet of any flashing signal, stop sign or traffic signal. In such a way that you block or create a hazard for other vehicles. Parking lights must be used at night on any vehicle parked on a roadway or shoulder outside of cities and towns. Driving with parking lights only (in place of headlights) is against the law. It's SO MUCH EASIER than spending hours and hours studying a boring driver handbook! Complete our DMV Exam Prep Course and you'll PASS THE 1st TIME - GUARANTEED or your money back! Pass Your DMV Test the 1st Time - Guaranteed! Are you getting your Florida learner's permit or driver's license for the first time? Prepare from the DMV Exam online! Don't spend hours studying the DMV Handbook when you can study online with our Guaranteed DMV Prep Course. It's like having the answers BEFORE you take the DMV Exam! Easily learn the answers to the Road Signs and Road Rules Tests, plus get detailed explanations. Money-back guarantee. Complete our prep course and you will pass your DMV written exam your first time or we'll refund your money for the cost of the course! Our Learner's Permit package includes all of the coursework required to obtain your permit. New drivers are required to take the Florida Traffic Law & Substance Abuse (TLSAE) course before taking the DMV written test. With you get this package, you can take this required course online, then take a practice DMV exam that will prepare you to pass the test the first time - guaranteed. Once you complete the practice exam, you'll proceed to the official DMV written exam online. All of this can be completed online in just one day. Parents can now be fully involved in this exciting time for teens. Our Ultimate Value Package offers extras for parents that can help prepare your child for the dangers of driving. This package also offers extra training for your new driver to improve their skills behind the wheel. 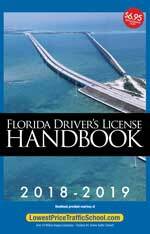 If you are getting your drivers license for the first time, the State of Florida requires all applicants to complete and pass a learners permit course called the Traffic Law and Substance Abuse and Education (Drug and Alcohol Course) course. You are required to complete this course before you apply for your drivers license. In cooperation with Florida DHSMV regulations, students are permitted to take the DMV Exam online. This should greatly reduce the amount of time you spend in the Drivers License Office to get your Learner's Permit...up to several hours or even days waiting for an appointment! Recommended course that prepares teens for the DHSMV written exams and includes both "Rules of the Road" and "Road Signs" practice tests. Get "Behind the Wheel" training with the National Safety Commission's home simulator course! America's #1 rated Online Behind the Wheel Course. The Safe Driving Teen articles emphasize judgment errors and mistakes made by other teens, and the consequences of those mistakes. Additionally, valuable information is provided that will help to improve their knowledge and driving skills. This Handbook is designed to be a teaching tool for parents who are concerned with their teen's driving safety and understand the value of quality instruction. All the items your teen will be tested on when they go to take the DMV driving test to get their regular license are covered (see the Regular Drivers License Checklist or the Learner's Permit Checklist) in the Handbook. Create your own customized Parent-Teen Driving Contract online based on the recommendations from the Driver Education Handbook for Parents.